AMTECH Flush Bottom tank valves are designed to provide drainage and dead space free shutoff for reactors, vessels and storage tanks. The dead space free shutoff is accomplished by placing the valve seat flush with the bottom of the vessel. This eliminates any buildup of product within the vessel nozzle itself. 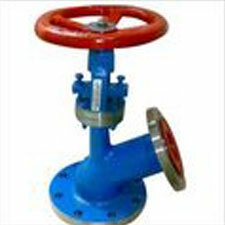 Advantage of Disc type is short stroke for open/close operation, this valves are also manufacture with jacket for semi solid /thick material need heated before it will flow easily.We also provide gear pneumatic cylinder/ electric motor operation. AIR TEST SEAT 7 KG/CM2G.